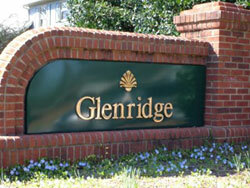 Glenridge is located in Winston-Salem, N.C. The development is located in southwest Forsyth County nestled between Robinhood and Milhaven Roads. This centralized location provides our homeowners with quick access to shopping, entertainment, restaurants, and sport venues unique to Winston-Salem. Glenridge was developed from what was once a family farm with many fruit trees and a slow, trickling stream. In the late 80s, Glenridge was developed into 259 homes in four distinct sections. 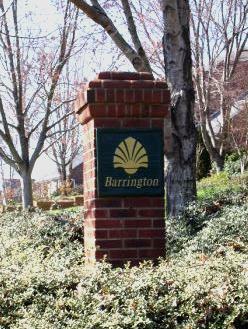 Three of the four sections are single-family homes located in Barrington, Glenridge, and Huntscroft. Each section has a uniquely distinct personality with different styles of architecture. The fourth section is a unique community of 55 homes located in The Gables. This community has all the charm of a private village with a distinct European flair for design with it’s courtyard homes. 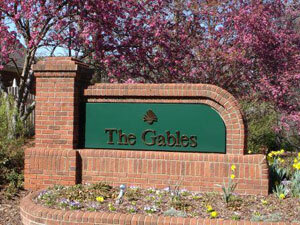 The Gables is a self-managed community with amenities covered by association dues. Streetlights, privacy fencing, front yard lawn service, and groomed common areas are some of the established amenities. This community has the perfect offerings for families who choose to downsize their lifestyle. Glenridge community amenities include a pool with an adjoining playground, a sand volleyball area, and a picnic area for hours of fun. Our pool and playground area provide a relaxing environment for our homeowners and children, and we are proud of our Glenridge Gators swim team. Glenridge community is a neighborhood school zone with Jefferson Middle School in walking distance from our neighborhood. The elementary school zoned for our neighborhood is Jefferson Elementary and the high school zoned for our neighborhood is Mt. Tabor High School. Visit the Winston-Salem Forsyth County Schools' website at wsfcs.k12.nc.us to learn more. Come explore the public portion of our website ….. we’d love to have you as a neighbor. If you are a resident of Glenridge and would like to obtain a login to the resident-only portion of this web site, please select 'Request Login' and fill out the Login Request Form. A login will be emailed to you within 24 hours.